Ginger Silverman is a nationally known expert in the field of marketing and corporate communications. For over 20 years, Ginger has been a senior marketing executive for several leading Fortune 1000 corporations including Pizza Hut, Taco Bell, HomeBase, Prudential Real Estate, Ogilvy & Mather Advertising, Lindora Medical Weight Control, and Argosy University. She also leads her own venture, Aha! Unlimited Consulting, Inc. 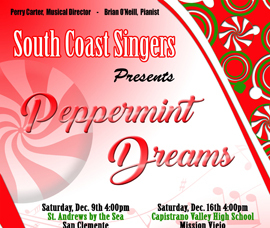 Besides marketing, she is passionate about music, and has been a member of South Coast Singers since 2002. She is also a member of the jazz group, the South Coast Quartet. Ginger is a graduate of Chapman University, with a B.A. in English and Communications. In addition, she earned an M.F.A. in Creative Writing from Antioch University. She is currently an adjunct professor at local universities, where she teaches in the Marketing, Business, and Organizational Leadership disciplines. Her first book, Confessions of an Overachiever, is slated for a 2016 publication release.